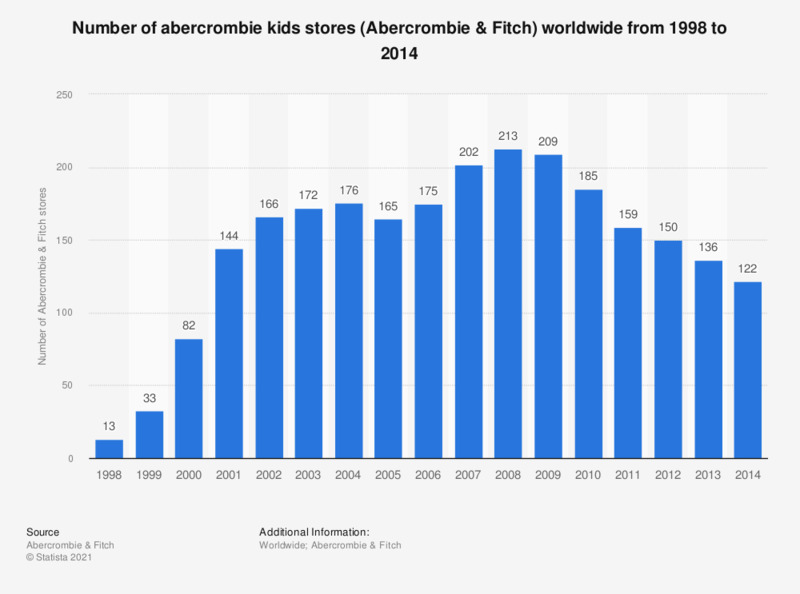 This statistic shows the number of abercrombie kids stores worldwide from 1998 to 2014. The global number of abercrombie kids stores amounted to 185 in 2010. Most of the stores were maintained in the United States and Canada. Abercrombie & Fitch is a United States-based apparel company. This statistic shows fiscal years. Fiscal year 2014 ended on January 31, 2015.